Fran Sanchez’s side have collected three crucial points against UD Granadilla Tenerife. The 3-0 win means they stay among the title contenders in the women’s league. Two goals from Aitana and one from Alexia tipped the balance against the side from the Canary Islanders, who proved a worthy, hard-fighting opponent but eventually succumbed to the better team. The first half was a well-matched affair, with just a single goal splitting the sides, but the second saw the blaugrana ladies making more than sure of a third consecutive win to stay second in the table with 29 points from eleven games, just one short of leaders Atlético Madrid. 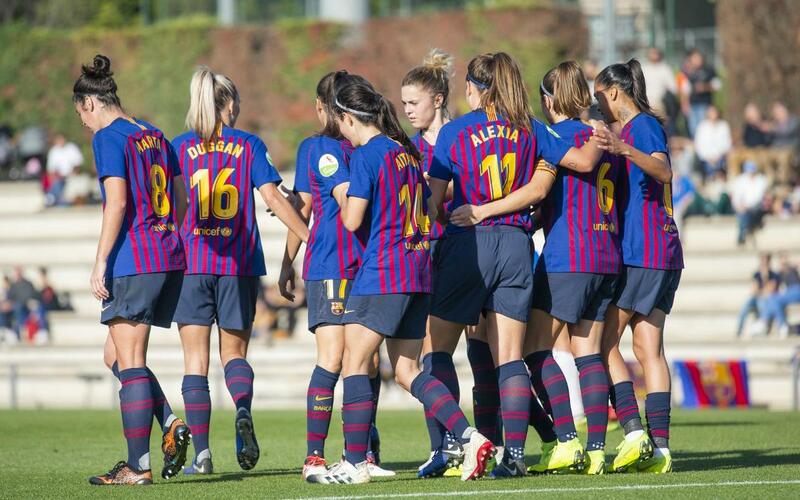 Barça: Paños, María León, Marta T., Andressa Alves (Bárbara, min.57), Alexia, Patri, Aitana (Candela, min.80), Leila, Duggan (Andonova, min.74), A. Pereira, Hamraoui (Losada, min.31). Granadilla: Aline, Eva Llamas (Liucija, min.80), Ange Koko (Ayano, min.76), Joyce, Sara Tui, María José (Martín Prieto), Natalia Ramos, María Estela, Doblado (Simpson, min.60), Gaviria, Pisco. Goals: 1-0, Aitana (min.39); 2-0, Alexia (min 56); 3-0, Aitana (min.68).